The breeze blew streamers across the gray water to hang a tattered curtain of dampness between the ferry and Seattle. Martha Jamison turned and walked to the foredeck, where she stood almost alone, peering into the grayness surrounding the boat. “It'll clear before you reach the island,” the Seattle taxi driver had insisted. “They get the best of our weather over there.” As though weather were a commodity the Canadians were guilty of hoarding. Martha touched her hair nervously. Ginetha had helped her do it up in a French knot that morning, but the mist was encouraging stray wisps to curl out of the neat arrangement. The hairdo had been an attempt to seem as “mature” as possible, to fit the ad description. Perhaps she should go back inside? Martha turned to face a bearded young man. Martha recognized the glint in his blue eyes and decided to be blunt. “My plans are all made,” she said. “Someone's meeting me.” Her tone was crisp. She was not one to encourage stray admirers. She turned her back to the young man. A shaft of sunlight had cut through the overcast and glinted on the water. A sea gull rode a small chunk of driftwood. “There are two of us facing the future, at least,” the bearded man remarked. So he hadn't left. Martha said nothing. Am I facing the future? Martha asked herself. Isn't this trip a flight from reality, as Ginetha says? She shook her head. “You don't agree?” Bran asked. She turned to him, ashamed of her rudeness. “I don't know,” she said. He was a good-looking man with chiseled features and would probably be equally attractive without the beard, unlike some men she'd met. His eyes smiled when he did. “I can at least talk to him,” she told herself. Ginetha's admonitions rang in her ears. “You can't wrap yourself in memories of Johann forever. His death didn't make him a saint. Let other men have a chance in your life.” Martha gazed dispassionately at Branwell Lowrey. “Where did you get all those freckles?” he asked. “From my father.” Her reply was automatic for she'd been answering that question since childhood. “Your freckles aren't all over, are they?” Johann had asked on their wedding night. They weren't, of course. Martha clenched her teeth and tried to listen to Bran. “Martha Jamison.” After Johann had died, she'd taken her maiden name again to thrust everything away. But Johann still lived in her mind—Johann and their days together. “Will you be staying long?” Bran asked. “I—I'm not sure.” Ginetha thought she was crazy for answering the ad in the first place, and maybe Ginetha was right. Martha studied Bran, bearded and tanned, in his jeans and T-shirt. What would it be like to throw a few necessities in a backpack and wander wherever one chose? She'd seen the group of young people come aboard with their packs. Bran looked as if he belonged with them. She was no older than Bran, surely. Twenty-eight shouldn't be too old to—to what? To be happy? Martha straightened her shoulders and stared out over the bow. From the way the sun had broken through the weather was obviously clearing, and the sullen water was changing to a brownish blue as more of the sky appeared. Land became visible—pine-covered hills. A sailboat passed to their left, its white sails taut in the crisp breeze. Other small boats skirted the shoreline. Gray-and-brown gulls swooped low over the ferry, seeming to eye her curiously. The island grew larger, and she could identify houses, a church spire. No, perhaps not a church at all, the rambling white building with the tower up the middle, its peaked roof resembling a spire. That wasn't a cross at the tip but a—was it a porpoise? A whale? Then the boat entered the harbor inlet, and she had a confused impression of piers, warehouses, the loud roar of a seaplane taking off, a train whistle, the hoot of the ferry, foreign flags flying. But of course in this place she was the foreigner—the flags were Canadian. But the apartment was the known, and Martha had been afraid to leave it, until Ginetha had suddenly appeared and carted her off to Seattle. “I don't think I'm ready, Gin.” Panic rose in Martha at the thought of monitoring the ICU machines, making quick decisions, reassuring frightened patients and relatives. Martha had met Ginetha at Camarillo State Hospital when they'd been fresh out of training. Ginetha was from Oregon, Martha from Arizona. They'd taken their state civil-service exam for psychiatric nursing together. Then Martha had met Johann and married him. “I haven't worked for four years,” Martha reminded Ginetha. “Why 'impossible'?” Martha had asked. “Oh, Martha, you don't want anything like that. Either they have a retarded kid that's gotten too big to handle, or else a schiz. I'd think—” Ginetha broke off. Martha said nothing at all, knowing that they both were thinking of Johann. But there was no use dwelling on the past. “I'm going to answer this ad,” Martha said finally. The reply to her letter had been prompt but imperious: “Please bring your luggage so there will be no delay should the interview prove to be mutually satisfactory. It was signed “Jules Garrard,” and a ferry ticket for the Princess Margarita was enclosed. Even at the moment, with the boat gliding into the dock at Victoria, Martha wasn't sure why she'd persisted in applying for the position. Wasn't Ginetha right? Living-in with any patient could be tiresome, and someone mentally ill might well prove to be impossible. Especially after Johann. Why did she think she’d be able to handle it? Or want to? Did she crave the security of having a house to live in, of having other people responsible for supplying her basic needs? No jockeying for position on a hospital staff, no in fighting, no battling traffic to work and back. Still, she could have done private duty in Seattle. That’s the Empress Hotel you're staring at,” Bran said. “Yes. And to the right are the legislative buildings. “Oh, that's right. Well....” Martha turned from the rail and started toward the cabin. She must smooth her hair before she got off the ferry. First impressions were important. “Goodbye,” she called over her shoulder to Bran, then moved a little faster, hoping he wouldn't follow. In the women's lounge she checked her appearance in the mirror, quickly tucking loose ends of hair into place. She wore no makeup except for pale coral lip gloss. She'd been sleeping well this past week that she'd spent with Ginetha in Seattle—her eyes were clear, their color enhanced by the delft blue of her jacket. She joined the line of disembarking passengers, her stomach knotted with nervousness. Why was she here at all? The rest of the people around her seemed to be tourists. There were some of the backpackers now, though Bran wasn't in sight. When the customs inspector asked for identification, she showed her driver's license and said she wasn't sure how long she'd be staying in Victoria—perhaps just overnight. Then she was out of the ferry shed, suitcases in hand. WELCOME TO VICTORIA was spelled out in flowers, marigolds, on the bank to her right. She took a deep breath. Martha turned and saw a middle-aged man with graying hair in a fringe around an otherwise bald head. He held a cap in his hand that matched his gray uniform. A chauffeur, yet, she thought after being shut into the back seat. But what else should she expect of a family wealthy enough to hire a live-in psychiatric nurse? The wages mentioned in the letter were very generous. Martha closed her eyes for a moment. Maybe that's why she hadn't stayed with Ginetha—the unasked questions. Maybe she was avoiding reality by this flight to another country. She'd let her hair grow and wore it differently; she no longer lightened it to blond, as Johann had preferred—she wasn't Marty Collier anymore, Mrs. Johann Collier. She was Martha Jamison, R.N. Who in Canada would connect the two? They drove along a main street that had lamp posts with five round globes in a cluster like grapes. And baskets of live flowers hung from projections under the globes— geraniums, petunias and lobelia in a riot of reds and pinks and blues. The lamp posts themselves were the same delft blue as her pantsuit. Ten years ago I was still in Flagstaff, Martha thought. Still at home, just getting ready to go away for nurse's training. “Did you see the house from the ferry?” Henry asked. Martha felt his eyes on her in the rearview mirror. “I like the country,” she said. Had Henry driven other applicants to Black Tor? Out and back again when the interviews weren't “mutually satisfactory”? The car passed between stone pillars, and she caught a glimpse of open iron gates, half hidden by shrubbery. The drive meandered among old trees that overhung the road, past shrubs and flower beds and came at last to the white house Martha had seen from the boat. Close up, it was a confusing arrangement of wings, ells and additions that had been added in what seemed a completely haphazard fashion. The building was huge, and the effect was not so much amusing as almost frightening, as though a mad architect had executed an insane masterpiece. Out of the car, Martha craned her neck to stare at the octagonal tower that rose from the center at least four stories high, its steep roof crowned with what Henry had said was a killer whale. An odd choice. As she gazed upward there came a loud crash, as of glass breaking, and Henry caught her arm, pulling her off balance as an object struck the ground beside her. Martha stifled a scream as she looked down at a cat's mangled body by her feet, slivers of glass stuck in its matted fur. Then she glanced back at the tower in horror. Martha pulled away from Henry and watched him stoop to gather up the cat. She saw now that there was no blood; in fact, there was sawdust like material on the ground where the cat's body had lain. “But she threw the cat from the tower at me!” Martha exclaimed. Martha whirled to see who'd spoken. “We've just arrived, sir,” Henry said. The man nodded. His black hair had a white streak on the left side. He was tall, darkly handsome, and he gave her a quick smile that failed to light his eyes. “I'm Jules Garrard,” he said to Martha. “How do you do?” she answered, feeling half hypnotized by his dramatic appearance as she allowed him to show her through the open front door. I believe your letter mentioned you hadn’t been to Canada before,” Jules said. came in behind them and closed the door. The dark wood and the stained-glass windows suddenly changed the day into a tinted twilight. Martha’s breath quickened as though the dimness deprived her of air. Henry stepped ahead of them to open an inner door leading to a foyer with a massive copper chandelier hanging from a cathedral ceiling. Martha looked to her left and gasped, astonished at the huge black and white animal displayed on a pedestal. What was it? Then she remembered L.A.’s Marineland’s featured killer whale and realized what she saw was a stuffed one, arranged as though leaping from the ocean. It looked inappropriately happy, seeming to grin at her as she passed. Other sea trophies were mounted along the oak-paneled walls--sailfish and salmon--but the killer whale dwarfed them to insignificance. Henry disappeared down a hall to the left, going through yet another door. Jules indicated a passage to her right and then ushered her into a half-paneled room, its upper walls papered with a gold and green hunting scene. More trophies crowded the walls, except for one, where books filled the shelves from floor to ceiling. “Grandfather Abel was more of a sportsman than a reader,” Jules said. “This was his library. I find that too much exposure to this room gives me claustrophobia.” He spread his hands and smiled. Martha smiled, too, sharing the same feeling and already liking Jules Garrard with his black and white hair and his oddly sad eyes. Martha thought of the mounted animal in the foyer. Black and white, a striking contrast, like Jules's hair. Jules was young—not over forty, certainly. She remembered white streaks in the hair as being hereditary. Had Abel Garrard had the trait, as well? Is that why the orca had fascinated him? Jules offered her a lyre back chair near a rosewood desk. He then sat behind the desk, and she was reminded that this was an interview. For a few moments Jules had made her forget that he was her prospective employer. “May I call you Martha?” he asked. “You certainly seem to have every qualification to be Josephine's companion,” he said. He waved his hand. “I'm pleased to have someone closer to her age applying. Aunt Natalie composed the advertisement, hoping, no doubt, for another of the elderly retirees we've had lately. I've tried to tell Natalie she's wrong—” Jules broke off and shrugged. “I have no doubt you’re sufficiently mature,” Jules told her, smiling. For the first time his eyes seemed to lighten. Does he find me attractive? Martha wondered. She was very aware of his gaze. She was also aware of him as a man. Surprised and disconcerted at her response to him, she looked down at her hands. “It's only fair that you meet Josephine before you decide to stay with us,” Jules said. The repetition of Josephine's name brought back the crash of breaking glass and the stuffed cat landing at her feet. Martha straightened and met Jules's eyes. “Why do you need a psychiatric nurse as her companion?” she asked bluntly. “Josephine is...unusual,” Jules said slowly. “I prefer to have you meet her before I say more.” He glanced at his watch. He nodded and got up. As Martha started to rise to her feet, he motioned for her to stay seated. Then he went to the door and opened it. A tall slender girl stood there, her curly dark hair falling past her shoulders. She had no streak of white. As she came into the room, Martha saw that her eyes were sherry yellow. She wore jeans and a gray sweat shirt. Except that she was prettier, she looked much like the backpackers Martha had seen on the ferry. The girl made a face at him. Then her eyes flicked back to Martha. “How old are you, Josephine?” Martha asked, deciding to ignore the tower episode. “This intruder is our cousin, Charn Wexler,” Jules said. Both Josephine and Jules had disregarded Charn's entering words. Had he meant them as a joke? If so, it was a joke in very bad taste. “Hello,” Martha said. If Charn was “our” cousin, were Jules and Josephine brother and sister? She glanced from one to the other. “Josephine is my half sister,” Jules said, as if reading her mind. “Daddy wore out two wives,” Josephine explained. Martha blinked, trying to assimilate all the information. Her quick assessment of Josephine revealed no evidence of mental illness. Still, such evidence was often concealed, only to emerge when least expected. “Why don't you two get out so Martha and I can discuss her staying here,” Jules suggested. “Oh, I wouldn't hurt a real cat,” Josephine said, instantly sounding shocked. “Your cousin doesn't resemble you or Josephine,” Martha noted. He broke off, and she thought for a moment he was going to finger a curl that had drifted out of her chignon. Martha quivered as though he had actually touched her. “I'd say you were a Scot,” Jules finished. She nodded. His irises were so dark a brown they appeared black. She could hardly see the pupils. 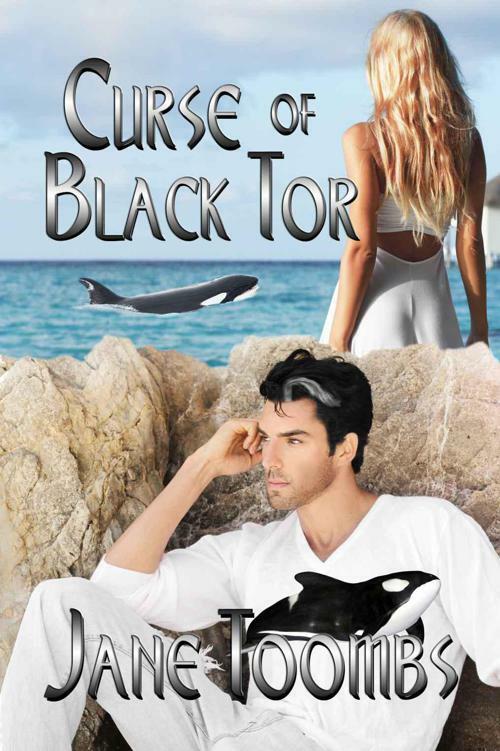 She wondered irrelevantly if the orca had black eyes. Martha closed her eyes momentarily and turned away from Jules. She'd tried to have Johann cremated, but that had precipitated even more publicity, and at last she'd given up his body to the others, as she should have given up Johann earlier. The funeral had been a public horror. “She's made three suicide attempts in the past year. Then there's the occult fixation, of course. But she's not a psychotic. Her behavior is sometimes—bizarre, though usually rational in terms of her beliefs. Martha didn't say anything. Any psychotic behavior could be called normal if judged on the basis of the insane individual's beliefs. Again Martha was terribly aware of his nearness. “Do—are you—who else lives here?” she asked, hating herself for the awkwardness of the question. If he had a wife, what would she do—turn off her reaction? Turn off a reaction she had no control over? She remembered her total response to Johann, and the memory frightened her. Is that the only way she could react to a man—all or nothing? She eyed Jules warily. “Do you have a family nearby?” Jules asked. All at once she felt far from home. Home? she asked herself. You have no home. Why not Canada? “Your parents aren't living?” Jules wanted to know. Martha shook her head. She'd been a late-in-life only child, her father had passed away when she was in high school and her mother, thank God, had died before the horror of Johann's death. “You will, of course, be dining with us,” Jules said. She stared at him in surprise before she realized there'd be servants in a house this size and she wasn't to eat with them. Not only Henry, but a cook, maids and likely a housekeeper, since Jules wasn't married. Unless Natalie acted as such. Martha felt alien. She'd had plenty of money, she and Johann, but they'd lived simply in a condominium apartment with a cleaning woman two days a week. This rambling house had stood there since 1880 and must require a small army of servants to keep up. “I'll ask Ruth to show you to your room.” Jules touched a small panel on the wall and after a moment spoke into it. “She'll meet you in the foyer,” he finished. Ruth was a middle-aged woman who wore a gray uniform with a white apron. Martha, astonished, followed her up the curving staircase. She'd had no idea maids still wore uniforms. “The aquamarine room will be yours, miss,” Ruth told her, indicating an open door off the second-floor hallway. Martha was relieved to find that the only stuffed animal in the bedroom was a yellow canary in a gilt cage. The room was furnished with heavy oak pieces and decorated in aquamarine. The effect was quite charming, with the delicate color giving a lift to the furniture. Tall narrow windows overlooked a formal garden, and Martha decided she faced out onto what might be called the front yard in a less pretentious home. “Shall I unpack for you, miss?” Ruth asked, and Martha noticed that her suitcases were at the foot of the bed. “What? Oh—thanks for telling me, Ruth.” As the maid went out, Martha frantically reviewed her wardrobe. She had a long dress that would do, she thought, but she hesitated to wear it the first night at Black Tor. Otherwise, she'd packed almost all casual clothes—pants, jeans, one uniform—just in case—and a dress that might be all right for shopping but might not do for the dinner table. Evidently at Black Tor one dressed for dinner, despite Jules's claim that the household was informal. Martha unpacked, then glanced at her watch in dismay. Only three o'clock. What was she to do until dinner was served? Should she try to find Josephine? Thinking of the rambling house, she concluded that she probably couldn't find her. She sighed and sat on the bed, then finally stretched out on top of the coverlet. Martha drifted. There was the sullen sea, not quite an ocean though the water was salt. Gray. Then the face, bearded, a black beard, curly, arrogant. No one she knew, and yet a haunting familiarity. A slash of white through the beard, like the streak in Jules's hair. Fear gripped Martha. She was unable to breathe, to speak. A weight sat on her chest. Martha opened her eyes and gazed into a childish face inches from her own. Hazel eyes stared into hers. She shook her head in confusion and tried to sit up. “You’re not an old lady,” the little girl said. Martha managed to shift the child's weight off her chest and sit up. She looked at the girl and was startled. A white wing of hair streaked the otherwise black curls. Martha nodded, still examining the girl with interest. Whose child was she? Jules hadn't mentioned her. Obviously she was a Garrard. “How old are you, Sarah?” she inquired. “I'm six.” The hazel eyes regarded Martha thoughtfully. “I'm not supposed to ask you. Aunt Natalie says it's rude after you get grown up. Sarah grinned, her eyes lighting up. For a second Martha caught a fleeting resemblance to—whom? The cousin she'd met downstairs? But she couldn't pin it down, and then the feeling was gone. ‘Miss’ because I'm not family, just a servant, Martha thought. No ‘Aunt Martha,’ for a servant. “It's 'Miss Jamison,' in case you have to,” Martha told Sarah. “I'd like to be friends.” Who was this little girl who apparently didn't have a father or mother within the family here at Black Tor? Martha found her necklace of silver and unpolished coral to wear with her blue sheath. This was as much as she could manage toward dressing up. Several minutes passed before there was a token knock at the door and Josephine pushed it open. Sarah must have unusually keen hearing. “I see you've met Sarah,” Josephine said. She looked at the little girl. “You'd better scoot.” Sarah went out without another word. “No.” Josephine frowned. “Cousin Louella acts as Sarah's tutor because she was a teacher before she came to live at Black Tor. But Louella's another old woman. This house reeks of age and death. Sometimes I can hardly stand it.” She hit the gilt cage, and the canary swung back and forth crazily. Josephine had been facing away from her, gazing out the window, but she swung around and faced Martha. Martha swallowed, willing herself not to show any emotion, though the words made her spine tingle. Ginetha gave me the coral necklace last Christmas, Martha thought. She's the only real friend I've ever had. A good guess on Josephine's part—but only a guess, of course. Josephine stared at her, not moving. When Josephine still made no move, Martha touched her arm gently, then withdrew her hand. “I’m afraid I didn't think of dressing for dinner when I packed,” Martha said. “Who does anymore? At least not all the time. But at Black Tor we might as well be back in the nineteenth century, as far as Natalie's notions go. You'll see.” Josephine started for the door. Josephine half-smiled. “You never will be, either. “I’m not and I’ve lived here most of my life. But I’ll show you where the dining room is, anyway. My bedroom is next to yours.” she gestured. A half-hour later, Josephine reappeared, wearing an ecru muslin dress that fell to the floor. Handmade lace frothed across the bodice and decorated the sleeves. Very simple, but Martha's practiced eye told her the dress was expensive.